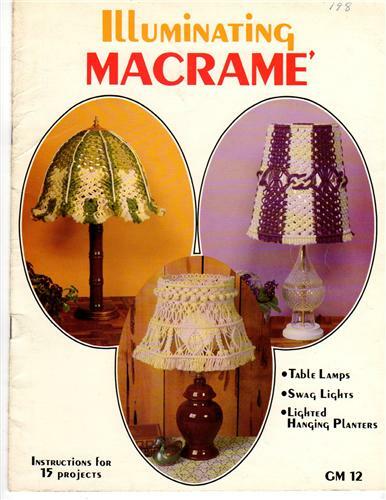 Illuminating Macrame craft booklet. Insructions for 15 projects. Table lamps, swag lights, lighted hanging planters. This vintage booklet appears to be in new condition.